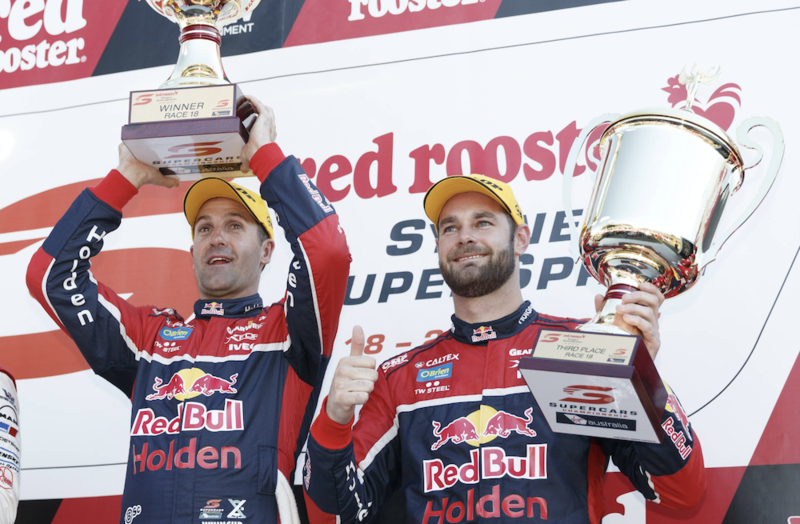 Conceding he needs “a miracle” to defend his Supercars title, Shane van Gisbergen says he’ll do what he can to help team-mate Jamie Whincup defeat his Shell Ford rivals. Van Gisbergen closed the gap to the championship lead at Bathurst, but remains 289 behind with 900 available across the final three events. A conservative run to third on the Mountain vaulted Coulthard to the top spot, 91 clear of Whincup and 97 ahead of Scott McLaughlin after the pair had engine problems. Prodrive’s Chaz Mostert is also still in contention in fourth but, 223 points down, is also an outsider. “If I can’t win it, my team-mate has to win it,” van Gisbergen told Supercars.com ahead of the Vodafone Gold Coast 600. “We’ll do everything we can on the #97 side of the garage to try and avoid the double-stack and try and give Jamie as much help as we can. 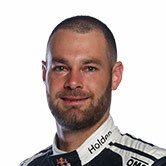 Van Gisbergen was a strong favourite for the title after winning the season’s first three races, including a dominant double in Adelaide. He soon lost ground with a series of issues - including a pitlane infringement penalty at Phillip Island, and tyre failures there and at Hidden Valley - and has been playing catch-up ever since. “Every time we haven’t had issues we’ve had a reasonably competitive car and we’ve been in the top five. “We just had too much stuff go on that we don’t really understand or can’t control. "We need a miracle [to win the title from here] and I don’t like that, I like beating the guys genuine." 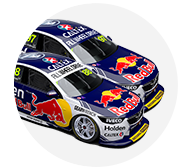 Despite Coulthard’s lead, van Gisbergen believes either Whincup or McLaughlin should take the title. While Coulthard has vowed to be more aggressive than he was at Bathurst, the second-year DJR Team Penske driver has struggled to match the pace of his flying team-mate McLaughlin in the second half of the season. “I think it’s still those two, they have such a pace advantage over Fabian at the moment, so I think it’s one of those,” said van Gisbergen. “Fabian doesn’t do anything, he doesn’t pass anyone, he just sits there and gets points, but that might win a championship. “The two fastest guys, the two benchmarks, keep tripping over themselves. We can all push on and be quick, but just cruising around and collecting points is Fabian.